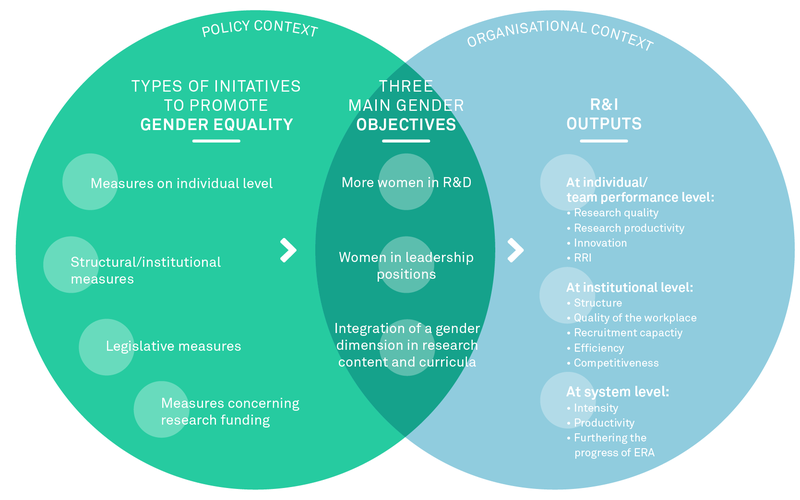 EFFORTI (Evaluation Framework for Promoting Gender Equality in R&I) seeks to analyse and model the influence of measures to promote gender equality on research and innovation outputs and on establishing more responsible and responsive RTDI (research, technology, development, innovation) systems. In our concept and approach we combine the evaluation of gender equality policies with the most recent approaches of RTDI evaluation in order to make the best use of mutual exchange and learning. 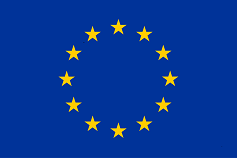 Specifically, we are going to figure out the links between initiatives aiming to promote gender equality - through three main gender objectives (more women in R&D, women in leadership positions and integration of a gender dimension in research content and curricula) - and a variety of impacts on research and innovation. The figure below illustrates our idea of the evaluation concept.